Is it better to book excursions before visiting Jamaica? So, you finally decided to take your first trip to Jamaica and enjoy all the beauty that the country has to offer. Congrats! Well, to answer your question, if you are having an extended stay, booking excursions before coming to Jamaica may not be a good idea after all. At least from my perspective. I will explain. So, why is it not a good idea to book tours before your visit? Let's look at seven reasons not to pre-book your activities before coming to Jamaica. Unless of course, it is a tour that requires advance booking which we’ll talk about later. It’s all about reaching the target for some tour operators. To simply put, if the tour does not reach a minimum figure, they will withdraw the tour departure which can take up to several weeks. This may interfere with booking your flight, thus, preventing you from travelling on the day you wanted. Especially if you choose that day for a specific reason. No matter how fit and healthy we feel, been human we do get sick and are faced with uncertainties when we least expect them. In this case, you may need to cancel your tour or change the booking. However, this may attract cancellation fees. It would be wise therefore to get a travel insurance policy after booking your tour to cover for the unexpected. There is rarely a set price for excursions and not many travelers are aware of this. Many times there are coupons and discounts that reduce the price to as much 50%. There may be online deals, but at the same time, they add their commission which almost brings tours back to their original price. Considering this dilemma, you will get a far better deal by booking from your hotel tour desk. When you cannot negotiate a price that you think is unreasonable from online booking, you sure have the privilege to do so at the hotel. In many cases, you can get a group discount, even if the price is fixed. But, if you've locked in your price from home, you have locked in a high price. This one is very common. Planning ahead may bring some level of excitement, as well as may rid you of the hassle to book when you arrive, but on that day, you may just want to relax. And if something really interesting is going on at the resort, you may want to soak it in, but if you pre-book from home, you are locked in and refunds are not usually applicable. Unless, you have a travel insurance and a valid reason for cancelling and getting your money back. Unlikely, but possible, depending on the time of year. If it happens to rain on the day of your tour, even if there are heavy showers, you cannot back out as you are locked in - remember! You don’t want to risk losing your hard-earned money my friends. And finally, tours are often always available, except if you travel in the heart of the peak season. 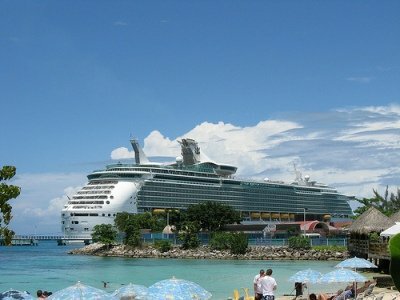 The only exception for advanced bookings as it relates to activities are cruise tours, also known as cruise excursions. It may not be in your best interest to book excursions before you arrive in Jamaica. Why do I recommend that you book cruise excursions ahead? Yes, it might cost a bit more, but depending on the dependability of the independent tour operator, it might be best to play it safe, simply to avoid potential delays. Although rare these days, remember the ship won't wait on them as they probably would if it was from their own booking. 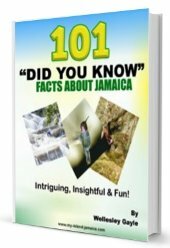 Be sure to also read more about a determining your vacation in Jamaica.